Beef, lamb or chicken tonight? Have you ever wondered when you’re browsing the meat section of a supermarket, why meat is packaged the way it is? Image: tarale/Flickr/CC. You’ll see a variety of meat packaging options – in a tray that is overwrapped with cling film similar to what we use at home, in a tray with film heat sealed on with some air inside it, skin-packed on a tray, and larger pieces that are vacuum packed without a tray. Let our meat scientist and research team leader, Dr Aarti Tobin, explain. “Different packaging systems serve different purposes. In the overwrapped tray system, the plastic film acts as a barrier to any physical contamination such as dust but air is able to permeate it. When trays of meat are sealed and have some air inside them, that form of packaging is called modified atmosphere packaging, or MAP. Most of the time, the air inside the pack is replaced with up to 80% oxygen, compared to about 21% in the air we breathe. Oxygen gives fresh meat its bright red appealing colour and we know that meat colour is the primary method consumers use to judge the quality and freshness of meat. MAP has been used for many years to pack meat cuts but more recently you’ll have seen a vacuum-skin system used. This type of packaging excludes oxygen altogether, which makes meat look darker red or purple in colour through the pack. But if you open it and let it breathe, or ‘bloom’, for 30 minutes or so before cooking, the oxygen from the air will bring back the brighter red meat colour. You don’t have to do this though, you can cook it straightaway if you prefer. The atmosphere in vacuum packs generally lacks available oxygen but can contain small amounts of carbon dioxide, which is generated by the meat tissue itself. This, combined with the lack of oxygen greatly extends the storage life of meat in this packaging system. Some people prefer to see the proper meat colours at the point of purchase without needing to store it for a longer period at home and whether you have a preference for one type of package or another is totally a personal choice. As is whether you buy meat from a supermarket at all or ‘wrapped on the spot’ meat from a butcher. Owing to Australia’s size, how long perishable foods can last, known as shelf-life, is really important. Despite our long distances, we have one of the best meat supply chains in the world. Much research in our meat industry has gone into increasing the colour, microbiological safety and shelf-life of meat products by using preservation technologies. 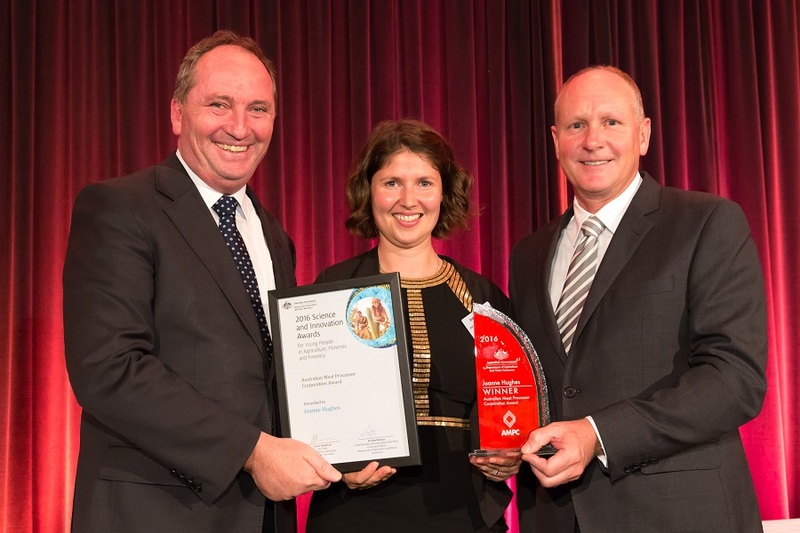 In fact, one of our scientists, muscle biochemist Joanne Hughes, won a Science and Innovation Award for Young People in Agriculture, Fisheries and Forestry at the ABARES Outlook 2016 conference in Canberra only last week. Joanne is using an emerging food processing technology, high pressure processing, to improve meat colour of dark meat cuts. She hopes to substantially help the red meat processing industry with her work. The Hon Barnaby Joyce, Minister for Agriculture, Joanne Hughes, and Dr Kim Ritman, Chief Scientist at Department of Agriculture and Water Resources. Image credit – Steve Keough. 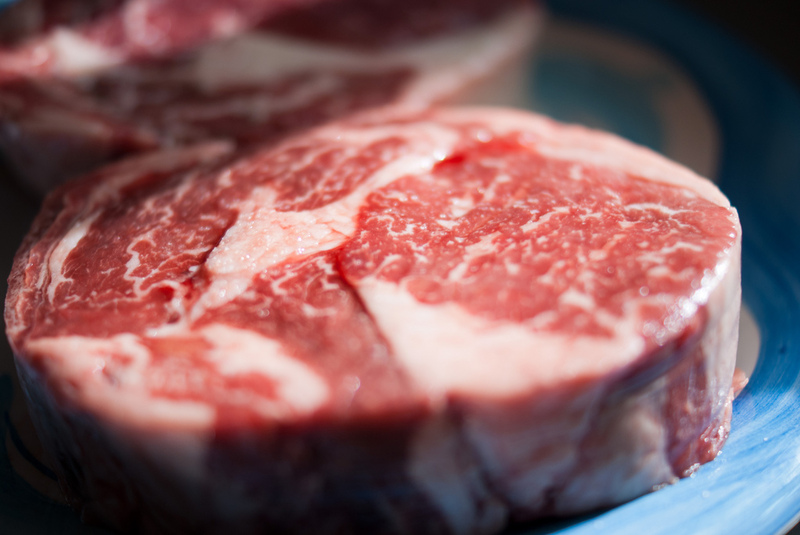 So when you’re browsing for your next steak, think about the high tech little packages and the work of meat scientists who helped make your meat in as good condition as it can be by the time you get it home. You can find out more on safe food storage practices here, or learn about how we’re working with Moira Mac to make cooked meats safer. I have never been a fan of purchasing meat packaged in plastic and it is such a shame that we don’t have more independently owned local butchers around to compete with big chain stores. Very useful info, thank you. Also handy to know meat is verb. I’ve told my kids to use it that way at school spelling. So who funds this research? The meat industry or the Australian taxpayer? I object strongly to a single cent of my taxes supporting CSIRO to support the meat industry. That would be an appalling misuse of funds when genuine scientific research is being progressively eliminated from CSIRO’s programme. Our research is funded by a range of industry organisations, commercial partners, cooperative research centres and appropriation funding from the Government. Depending on the nature and impact of the research, projects may be funded through a mix of these sources. If the instance of Joanne Hughes, this particular work is being funded by the Australian Meat Processors Association. Thanks Ellen. As I said I have no idea how this kind of research is justified at taxpayer expense on behalf of an establish and apparently highly successful Australian industry. Research in support of new industries is one thing, as would be justified in case of startups such as new agriculture, biotech and sustainable energy, but if this kind of spending continues while CSIRO budgets are being slashed then I am surprised and will send my strong objection through the appropriate channels. Thanks again. Thanks for the info, I didn’t know any of that at all !! !